Eagle’s advanced technologies can help you transform your business, so you can do more, more efficiently. Some of the world’s most successful companies rely on our innovative data management, investment accounting and performance measurement solutions to make smarter decisions. 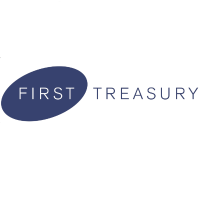 First Treasury is a consultancy firm specializing in the areas of advanced finance and financial technology. We deliver high quality consulting and business services to financial institutions and large corporates in Northern Europe and Australia. Infogix provides end-to-end, real-time and automated data analysis across enterprise organizations. Using the Enterprise Data Analysis Platform, we help improve data quality, ensure effective transaction monitoring, provide balancing and reconciliation, identify and predict fraud and customer behavior. Linedata is a global solutions provider operating in 50 countries. With more than 1,000 employees across the globe, dedicated to the investment management, the insurance and credit community. Helping asset owners and managers decide a strategy and put it into action. We offer research and advice that give you insight. And we offer information and data management plus analytics that help you plot those results and manage risk. We work across asset classes. We cover transactions from start to finish. And we shape what we offer around what you need. The result is that you zero in on the opportunities that create the most value. SWIFT offers a portfolio of innovative products and services that help our users get the most out of SWIFT messaging. Our solutions seek to address challenges faced by the SWIFT community, to reduce risks, eliminate costs and increase efficiencies.